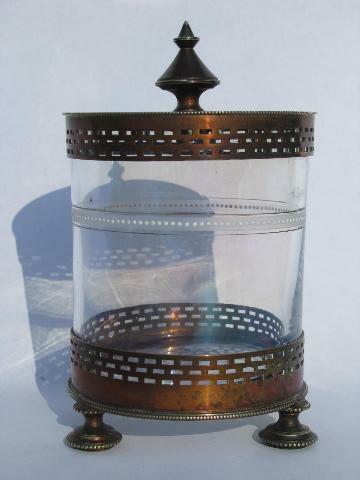 Antique early 1900s vintage sugar server or large condiment or pickle jar, enamel painted glass in tarnished and worn silver plated stand with cover. This is unmarked, probably vintage Sheffield, silver over brass. 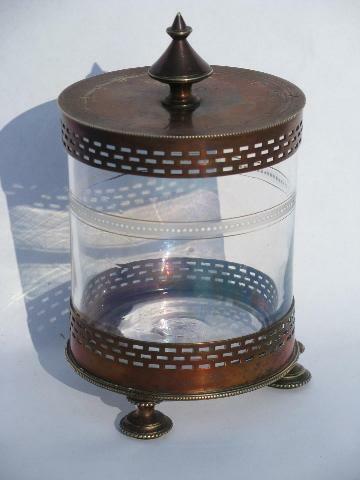 Measures 4 3/4" to the top of the jar cover, not including the finial knob on the lid. 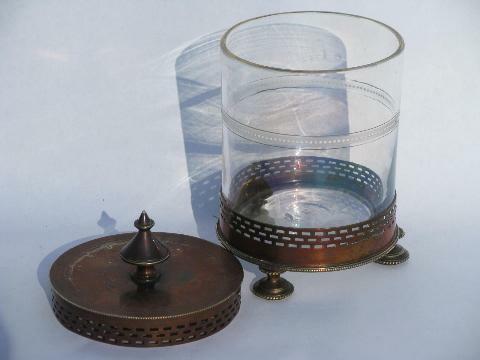 The glass jar measures about 3 1/2" in diameter, and is in excellent condition.